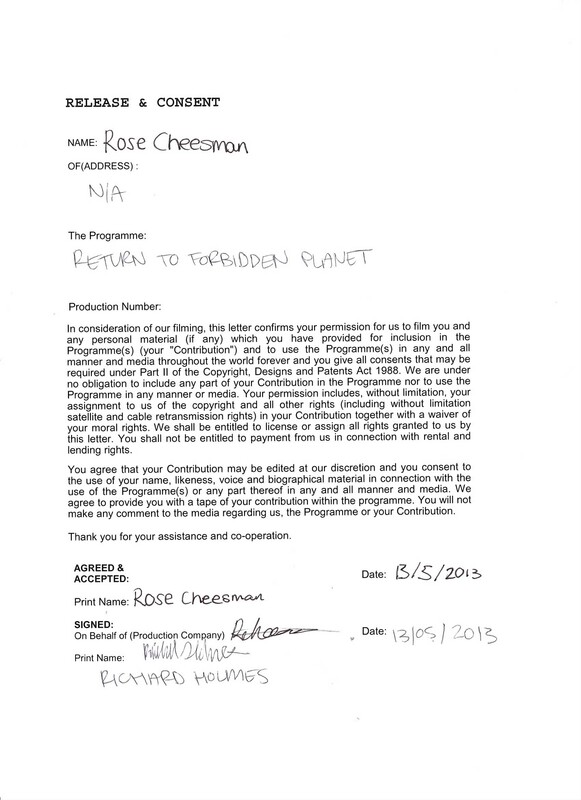 This is my client video I did for Bernice Rowan who is the Drama teacher at Brooksby Melton College, She needed it for her play, Return to the Forbidden Planet. During the live performance the video will be projected on a upside down triangle screen. The video goes back in the past and explains the story behind the main character Prospero, and why he is in space because his wife Gloria chloroformed him and sent him away in a spaceship with their daughter. 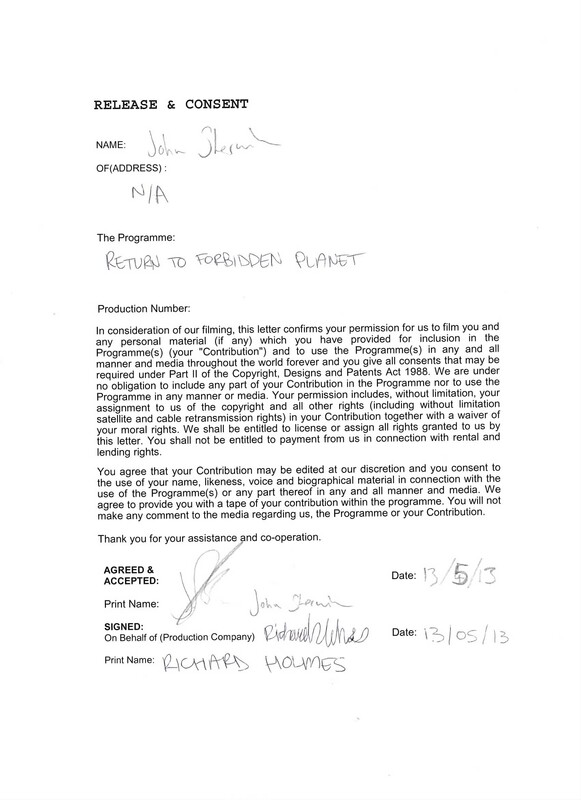 The Director would like a short film made as part of the creative content of the piece. 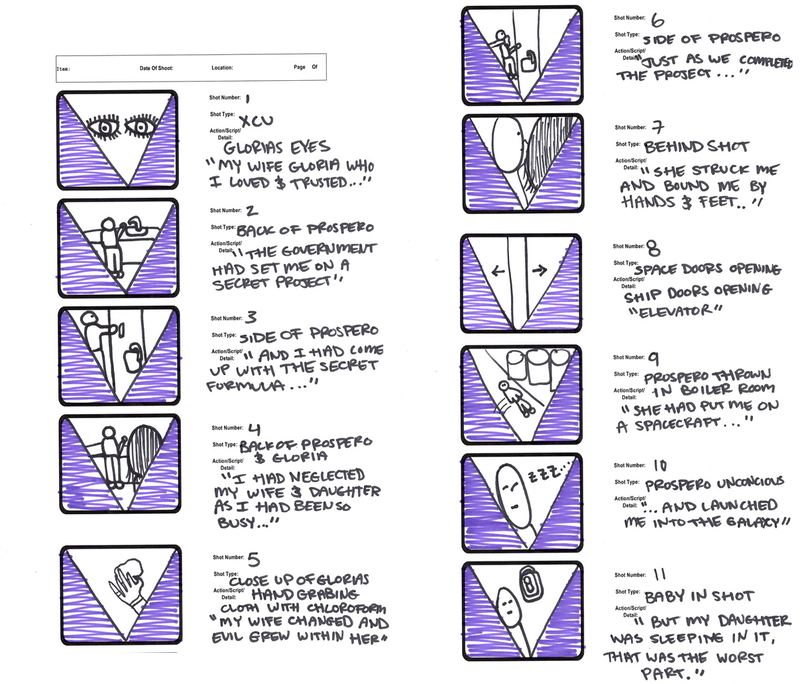 It will be related directly to a narrative outlined in the script and the finish will need to be in black and white and potentially have a ‘scratchy’ visual as it is supposed to represent events in someone’s memory. It is set in a physics laboratory so an appropriate location will need to be sourced. There will be no dialogue as this happens live over the film in the final show. Screen is an upside down equilateral triangle 3m per side. The final product will be played in context in the final performance to a public audience. 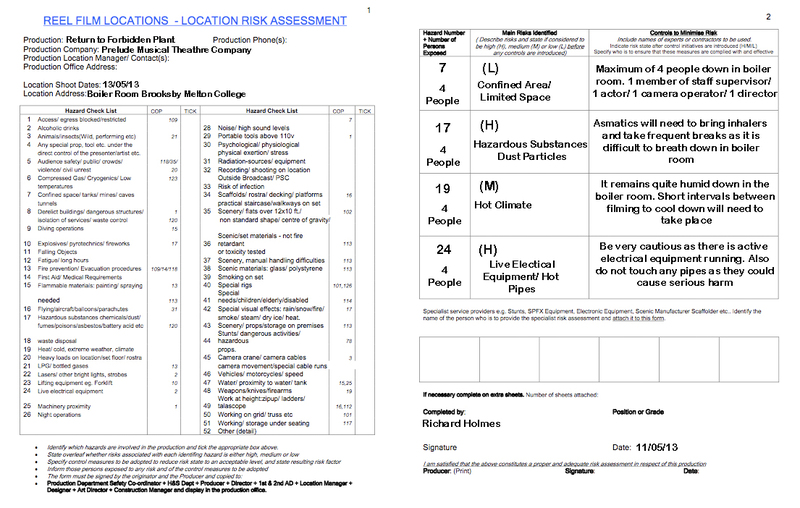 Above is the risk assessment for filming in the Brooksby’s boiler room. I told everyone who went down there that there is dangerous electrical equipment, and very hot pipes to be cautious of. I had checked to see if any of the actors/actresses had asthma as that might have been a big problem as it would be really difficult for them to breathe in those conditions. 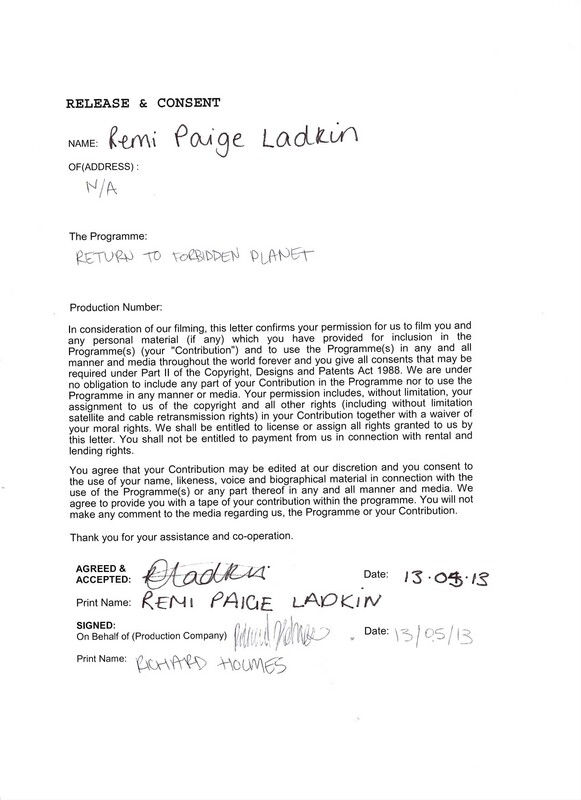 Above are the release and consent forms for the three actor/actresses who performed in the client video. As the are two different casts for the play I had to make two versions of the video with both actresses who play Gloria. 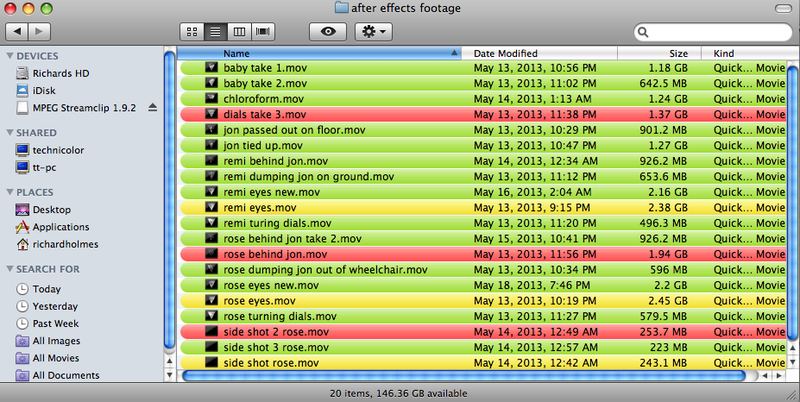 Above are all the clips that I gave an appropriate name too and color coded from green to red based upon quality. This organization helped in the long run with the editing process by finding the clips with ease and seeing which ones were better than the others. 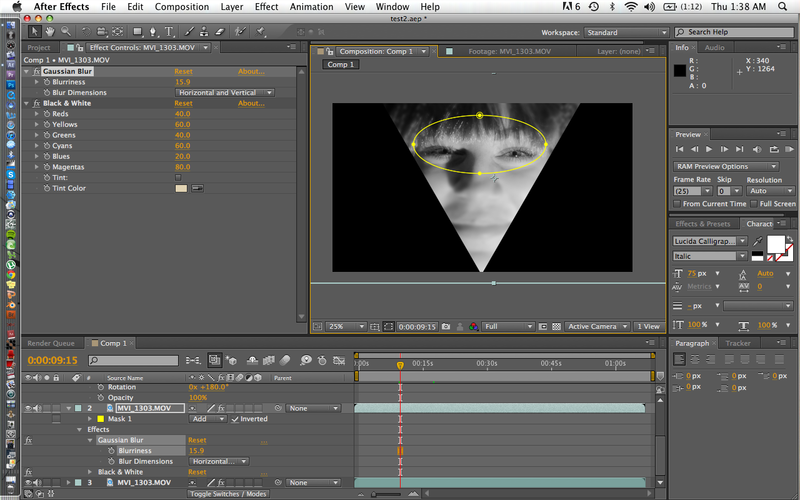 Above are screen shots the video being edited in Adobe After Effects. In the video, Gloria’s identity remains confidential because you find out in the end of the live performance that she is one of the main characters. 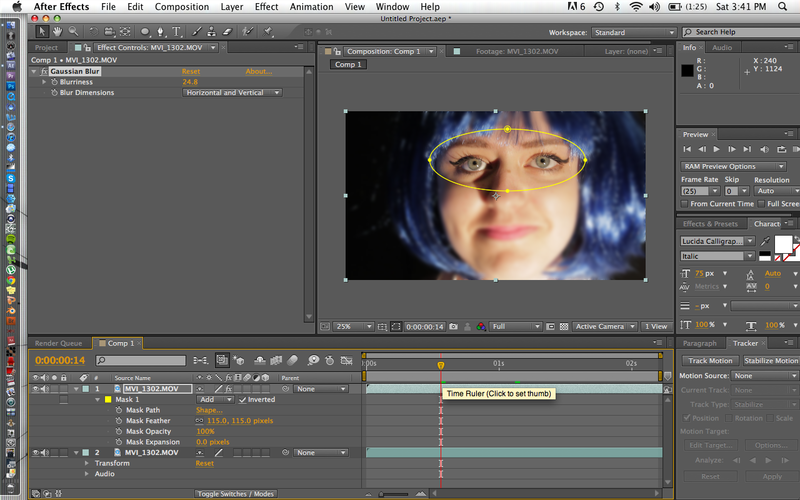 So I blurred out her face apart from her eyes by creating a mask around her eyes then using a gaussian blur. This way it doesn’t reveal too much and give away the surprise in the end. I also made the footage black and white and put a really scratchy 8 mm film look to it. Since the screen for the live performance was an upside down equilateral triangle I also put a mask around it to create this. Besides After Effects I used Adobe Premier Pro to edit this.